Niger officials have announced that Boko Haram kidnapped eighteen girls from two villages, Blaharde and Bague, on November 24. Media is reporting that as many as fifty Boko Haram operatives were involved. The region of Niger where the kidnapping took place is ethnically and religiously diverse, but authorities have not yet identified the girls and their ethnic and religious affiliation. Factions of Boko Haram have frequently conducted kidnapping of girls, notably over 270 from Chibok in 2014, and more recently, over one hundred from Dapchi in February 2018. While the Dapchi girls were soon released, the lone Christian among the girls, Leah Sharibu, is still in captivity after reportedly refusing to convert to Islam. Boko Haram faction leader Abu Musab al-Barnawi has said that the kidnapping and enslavement of non-Muslim people is justified, while doing the same to Muslims is not. The Blaharde and Bague kidnapping followed the November 22 killing of seven employees of the French drilling company Foraco at the village of Toumour, Niger. The nationality of the victims has not been identified, but they are likely to all have been Nigeriens. Local security services believe the killers were Boko Haram. Increased Boko Haram activity on the Niger side of the border parallels its greatly increased activity on the Nigerian side. 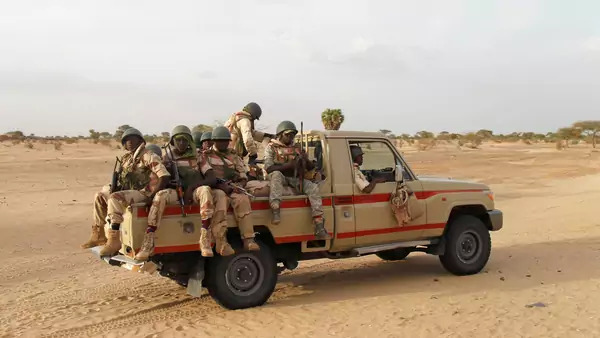 Chad and Niger reportedly removed troops they had stationed in northeastern Nigeria over the summer, owing in part to a lack of resources. The border between Niger and Nigeria was established by the French and the British during colonial times. It is largely irrelevant to the people who populate the region, and therefore highly porous. It seems possible, even likely, that greater Boko Haram activism reflects the upcoming Nigeria national elections in February 2019.